Beginning Sewing Academy is for those with little to no sewing experience who want to learn the basics. We will be using the book, How to Machine Sew, to guide our classes. This is a great reference guide and includes projects. These classes are open to those 16 and older. 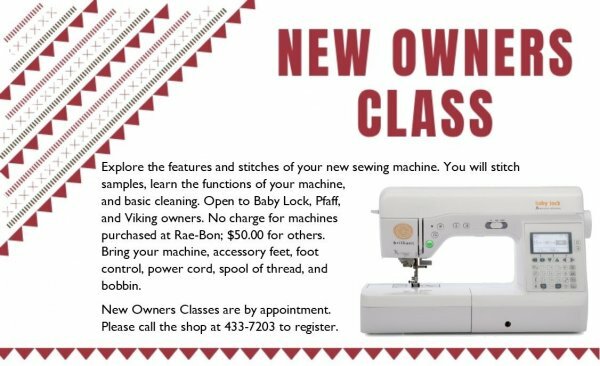 Each month we'll offer a new class, but classes can be taken in any order. Complete all 9 classes and you'll earn a special graduation gift - 25% off the purchase of your next project. In March, we'll learn about casing and make a drawstring bag. Class fee is $20. You will also need to purchase supplies. Bring your own sewing machine or use one of ours.